Then said he unto the disciples, It is impossible but that offences will come…. Every so often, everyone has an opportunity to get offended. 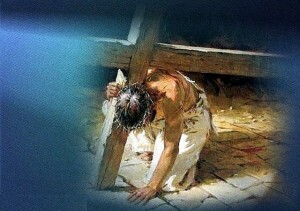 In fact, Jesus said, …It is impossible but that offences will come… (Luke 17:1). The word impossible is the word anendektos, meaning something that is impossible, inadmissible, unallowable, or unthinkable. One scholar notes that it could be translated, It is simply unthinkable that you would allow yourself to dream that you could live this life without an opportunity to become offended…. But what is an offense? The word offense comes from the Greek word skandalon, from which we get the word scandal. This is a powerful picture that you must understand! The word skandalon originally described the small piece of wood that was used to keep the door of an animal trap propped open. A piece of food was placed inside the trap to lure the animal inside. When the animal entered the trap and accidentally bumped the skandalon, or the small piece of wood, the skandalon collapsed, causing the trap door to slam shut and the animal to be caught inside with no way to escape. However, the New Testament also uses the word skandalon to refer to a stone or an obstacle that caused one to trip, to stumble, to lose his footing, to waver, to falter, and to fall down. In 1 Peter 2:8, the word skandalon is used to describe how unbelievers react to the Gospel when they don’t want to hear it or believe it. Peter said, And a stone of stumbling, and a rock of offence, even to them which stumble at the word…. Rather than accept the message and be saved, these people stumble when they hear the truth, tripping over the message that could set them free. But in Luke 17:1, Jesus used the word skandalon to warn us about events that happen in life with the potential to trip us up. Sometimes Satan baits us with something drawing us into a trap in which he knows we’ll become offended. When we bump into a moment of offense, the trap slams down shut and like an animal that is trapped in a cage and can’t get out, we suddenly find ourselves caught in a miserable situation, trapped in detrimental and negative emotions! It is simply unthinkable that you would allow yourself to dream that you could live this life without an opportunity to be lured into a situation that could potentially snare you in the feelings of offense…. If this is really what Jesus meant, we need to know the nature of the bait Satan uses to get to us. What is the offense the devil uses to trap most people? An offense usually occurs when you see, hear, or experience a behavior that is so different from what you expected that it causes you to falter, totter, and wobble in your soul. In fact, you are so stunned by what you have observed or by a failed expectation that you lose your footing emotionally. Before you know it, you are dumbfounded and flabbergasted about something. Then your shock turns into disbelief; your disbelief into disappointment; and your disappointment into offense. We’ve all experienced this kind of disappointment at some point in our lives. According to Jesus’ words in Luke 17:1, the opportunity to be offended comes to every one of us. As long as we live and breathe, we must combat this nuisance and refuse to allow it to have a place in our hearts and minds. Even worse, we’ve all been the source of offense at some point or another. It may not have been intentional on our part; in fact, we may not have even known we offended anyone until the person later came and informed us of what we did. • Have you ever offended someone? • When you found out about the cause of offense, were you shocked? • When the news finally reached you that you had offended that person, were you surprised to hear how he or she perceived what you did or said? Through the years, I’ve learned to do the best I can to avoid being a source of offense to anyone. At the same time, I try not to be too shocked if I find out that someone, somewhere, has gotten offended. Because people come from different backgrounds, wake up in bad moods, have a bad day at work, don’t physically feel well, and go through a whole host of other negative experiences in their lives, their interpretation of our actions and words may be very different from our original intention. We can be almost 99-percent sure that someone along the way will misunderstand what we do or misinterpret something we say. Therefore, as Christians, we must: 1) do everything in our power to communicate correct messages to one another; and 2) do everything in our power to bring healing and restoration whenever misunderstanding and offense occurs between ourselves and someone else. If you discover that you have been a source of offense to someone else, take the mature path and go ask that person to forgive you. And don’t get defensive, for that will only make the problem worse. It may even lead to a deeper conflict, so just say you are sorry and move on! Do everything you can to bury that offense and destroy what the devil is trying to do between you. Make it your personal aim to help that other person overcome what he thinks you did or said. Sometimes it is more important to help the other person attain a position of peace than it is to prove who is right or wrong! Lord, I want to repent for ever being a source of offense to anyone. I am asking You to forgive me for fighting to prove my point in the past when I should have just gone to that other person and apologized, asking for his forgiveness. If I ever find out I’ve offended someone again, please help me deal with it more maturely than I have in the past. Jesus, I also need You to help me remember that when others do things that make me sad or that disappoint me, they probably didn’t mean to do it. Help me give them the same mercy and grace that I hope others will give me. I confess that I am a source of blessing and not a cause of offense! I do everything in my power to communicate correct messages, and I immediately move to bring healing and restoration whenever misunderstanding and offense has occurred between myself and someone else. I do everything I can to bury that offense and to destroy what the devil is trying to do. I make it my aim to walk in the Spirit, to speak the love of God into every situation, and to refuse to let the devil use me to cause others to trip and fall. 1. Can you think of an occasion when you unintentionally offended someone, and you were totally shocked when you heard how he or she perceived what you said or did? 2. Have you ever been offended by someone, only to find out later that the person never intended to offend you and was genuinely sorry when he or she found out how you felt about it?